Grab the perfect live wallpaper for this Halloween and enjoy the scares. 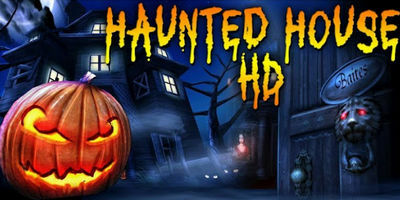 Haunted House HD (version 2.3.0) is a critically-acclaimed LWp for this spooky season that lets you explore a customizable haunted mansion and its surrounding, carve your own pumpkins, create your own ghost, and much more. Happy Halloween from DualBoot! 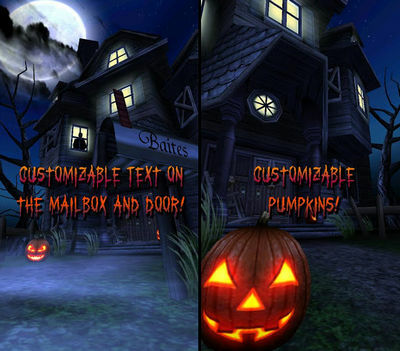 We've improved lots of things this year, including new epitaph messages, bats, ghosts, animations and much more. There is also a new preview and customization screen available from the main app. See if you can find the rest of the surprises, and thank you for your suggestions and support!